It’s a little bit tricky to make, and can get stressful at times. 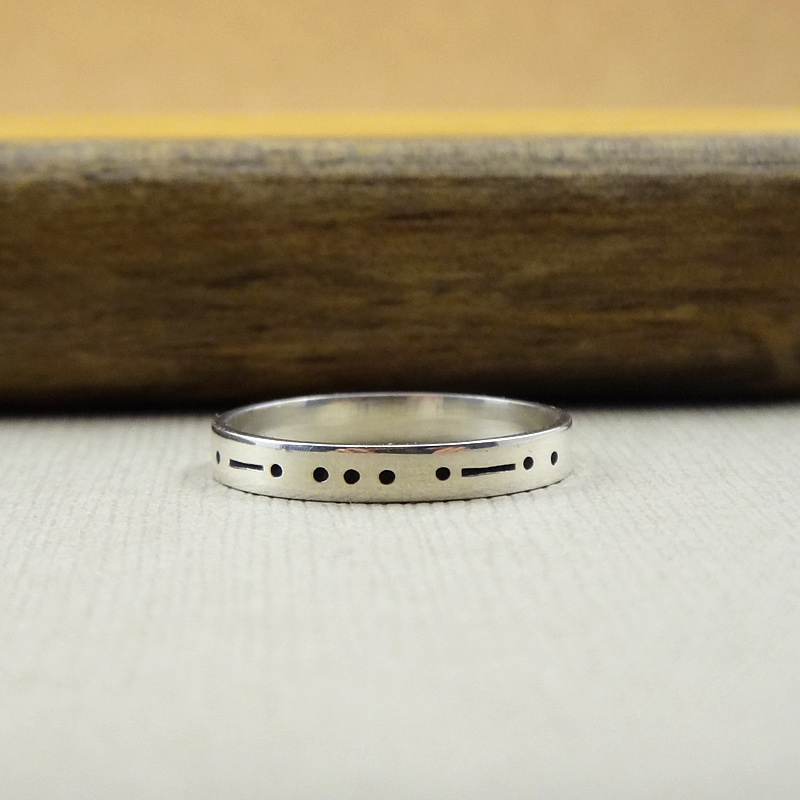 Trying to hand stamp Morse Code onto a ring in a straight line is in itself an accomplishment. Now throw in some wording on the backside and you might think… crazy! How could I possibly get this right? Practice! and get to know your stamps. 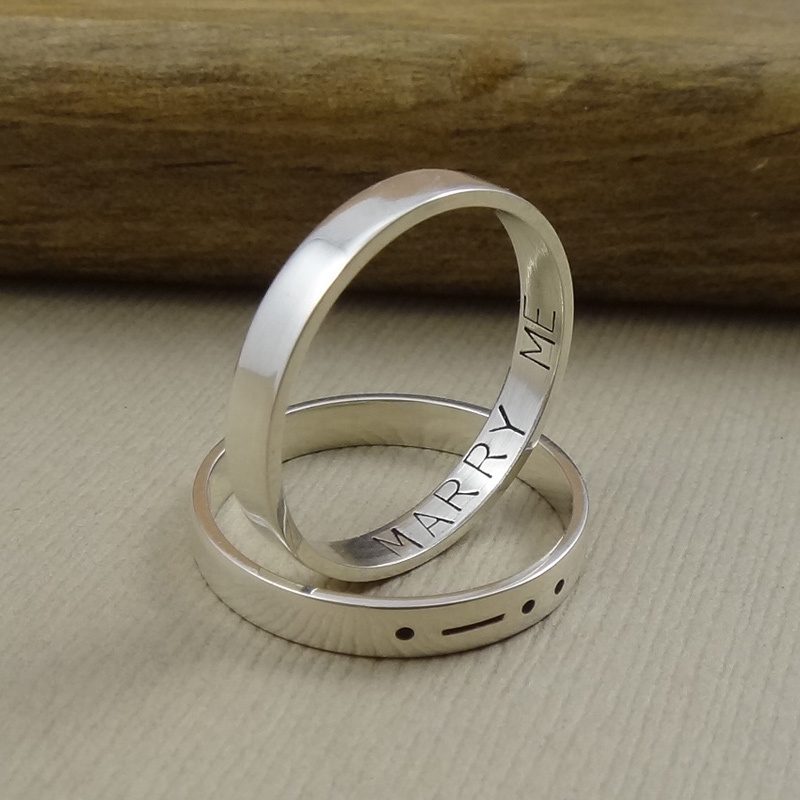 It’s a little bit embarrassing to admit, but when I first started making these Morse Code rings I couldn’t even tell you how many I messed up by either stamping the Morse Code crooked/too deep or messing up the spacing of the phrase on the inside. Luckily, I recycle my silver, but it’s still heartbreaking to see all that work go to waste. Also being a perfectionist doesn’t help. I have to remind myself that I’m not a machine it’s not going to be perfect. Handmade is allowed to be a bit quirky, that’s the beauty of it, right? Now that I have a few under my belt, they are way easier to make… It took some practice and a lot of patience but It’s truly a labor of love for me. I’m glad I didn’t give up!